Superfood Nails | Nails Inc.
You’d never really think of mixing nail polish with superfoods, would you? Well Nails Inc. did and they’re onto a winner. The new products are all about creating stronger, healthier nails using detoxifying treatment formulas. 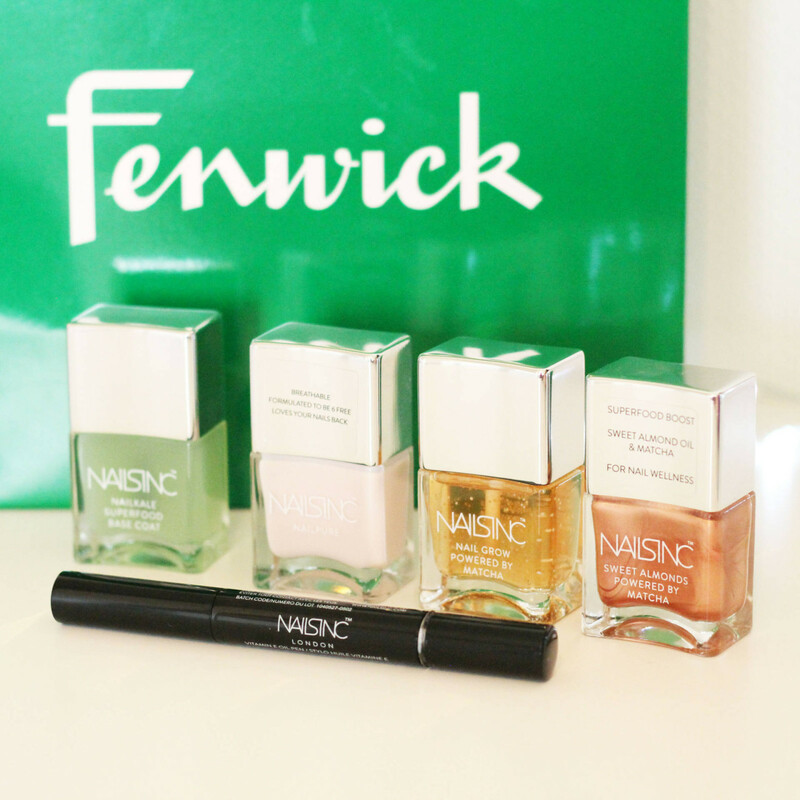 Nails Inc. invited me to an event in Fenwick, Newcastle. I’d never used anything from the brand before and due to previously working in an environment where I wasn’t allowed anything on my nails, I’d never even had my nails done before (apart from once, which was a bad experience) That’s all changed now though. The lovely Amanda, from Nails Inc. quickly told us all about the benefits of having healthy nails. I instantly regretted my years of neglect on my poor nails. They’re brittle, snap very easily and grow at the most awkward lengths. Which is probably why I don’t bother with them much. If you’re like me, and every time you paint your nails they smudge, painting and looking after your nails can be a chore. Especially when you work in a job where they can snap and break easily. 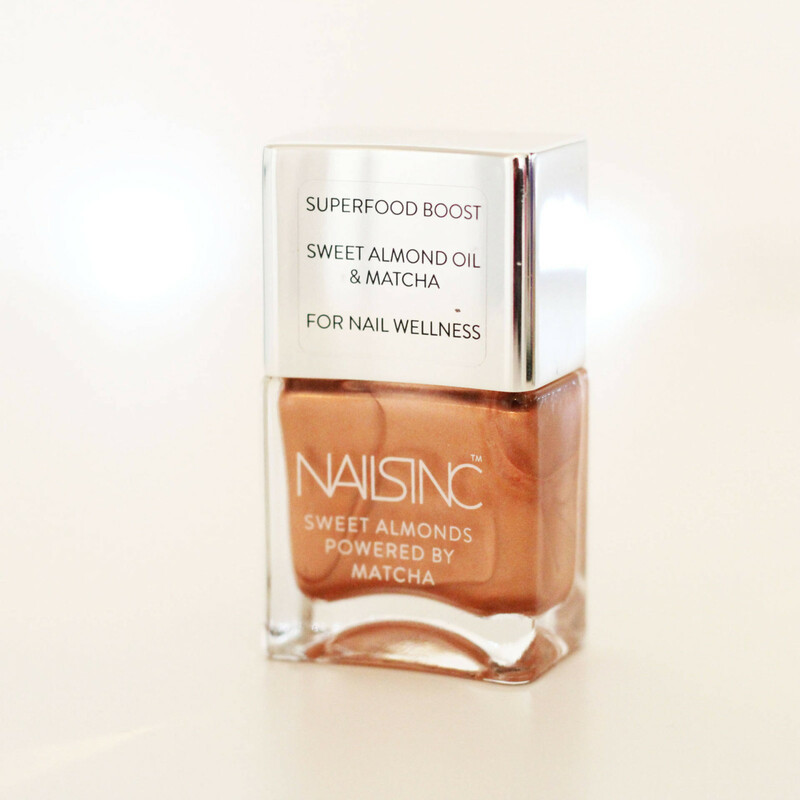 That is why Nails Inc. have brought out two new products, based on the superfood trend that’s happening right now. The Overnight Detox Mask and the Nail Grow Treatment. First of all, the Overnight Detox Mask is a treatment of which you pop all over your nails, massage into the nail and nail bed just before you’re about to go to sleep, you then wash it off in the morning. It’s star ingredients are Green Tea, Acai and Spirulina which helps nails grow stronger and treat a weak and damaged nails. Something I know all too well. I love this mask, I’ve used it a few times now and already noticed a huge difference in the way my nails are behaving! They’re not bendy or breakable anymore. Sometimes, the whole ‘Superfood’ thing can be a gimmick to sell products, but not in this instance. 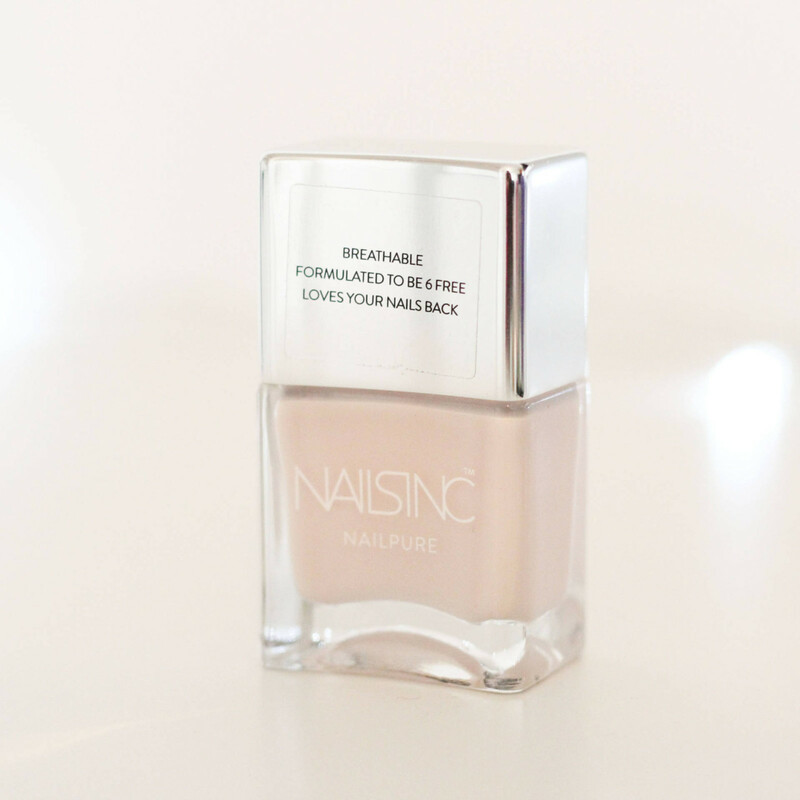 Nails Inc. have done their research and made sure that their products are not only innovative, but actually work. That’s one thing I love about the brand, they’re not only passionate about doing it first, but doing it properly. 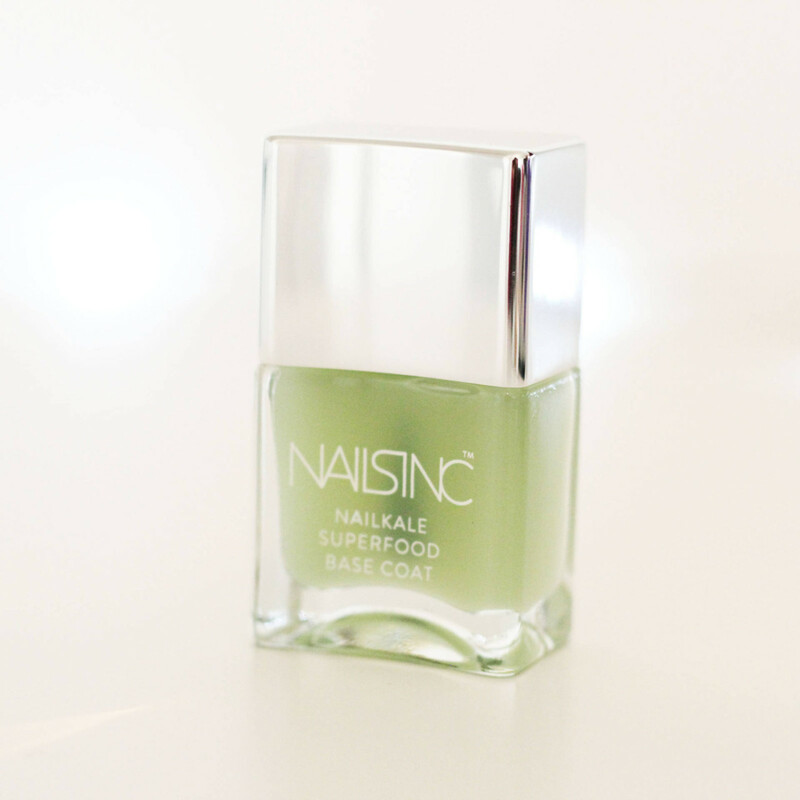 In my gift bag I received the Nails Inc NailKale Superfood Base Coat, which is an antioxidant base coat infused with kale extract which strengthens nails. It’s an amazing base coat which has keratin hardening and activation which stimulates nail growth as well as ensuring the nails look healthy and bright with a glossy finish. This is perfect not only with a polish on top, but also on it’s own for a fresh look. 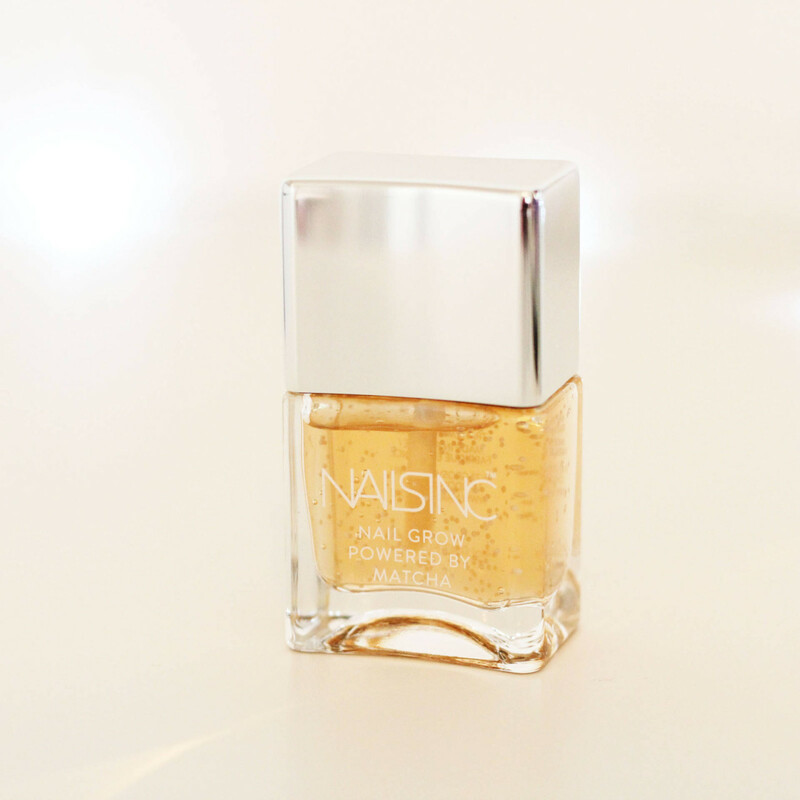 The next nail treatment is the Nail Grow Treatment which is powered by Matcha, a newly fashionable superfood. This treatment is aimed at regenerating the nail bed and includes plenty of matcha powder andgreen tea leaf powder. The high antioxidant content protects the nail from damage, and also revitalises the Keratin in the nails. This nail treatment is really cool, it’s a gel-like consistency which once on the nails, you rub in. It contains little beads full of Vitamin A & E which burst when you rub it in, to give extra hydration and moisture to the nail. I’m in love with this treatment too, both the Overnight Detox Mask and the Nail Grow Treatment work so well together and have made me love my nails again! They’re looking so healthy and glowing. The treatments are £15 each, but will last a very long time and I already know I’ll be repurchasing when mine run out. It wasn’t until I got my nails done at the event that I realised how important it is to have nice looking nails. Not only does it complete an outfit or look good, it makes me feel better about myself. I feel my hands look more feminine and I feel empowered and confident. I’ll definitely be a regular at their nail bar. In fact, I’m going tonight to get them done again! Not only was I gifted those two amazing nail treatments, I was also given two gorgeous colours. The first one was Mayfair Market, a rose gold shade the world is going crazy for. It’s the perfect balance of metallic and sophistication and I’ve barely had it off my nails. It looks gorgeous as an accent nail too! This polish is part of the Sweet Almonds Collection and has a sweet almond oil base and is full of matcha powder, which yet again focuses on looking after your nails. The Mayfair Market is priced at £14 and is available in Spring. The next colour was London Court, a beautiful pale pink which looks gorgeous on any skin tone. And there’s also the Vitamin E Cuticle Oil pen which you just twist, pop the oil into your cuticles, rub in and away you go! Perfect for hydrating the cuticles and making them healthy. So, what do you think? Do you get your nails done regularly or like me, do you usually neglect them? I’ve officially seen the light now though and I’ll be looking after them from now on. If you ever see me with chipped nail polish – tell me off!! I never would have thought to use superfoods on my nails. I must admit, I really do neglect my nails and I need to look after them more, and stop biting them! I get acrylics a lot of the time and my holy grail is OPI Nail Envy! I apply it as my acrylics grow out and it really helps them to recover. You should try that too, it honestly works wonders. I’ve not heard of them before. Those colours are gorgeous though. WOW! What a great range – haven’t seen it before! 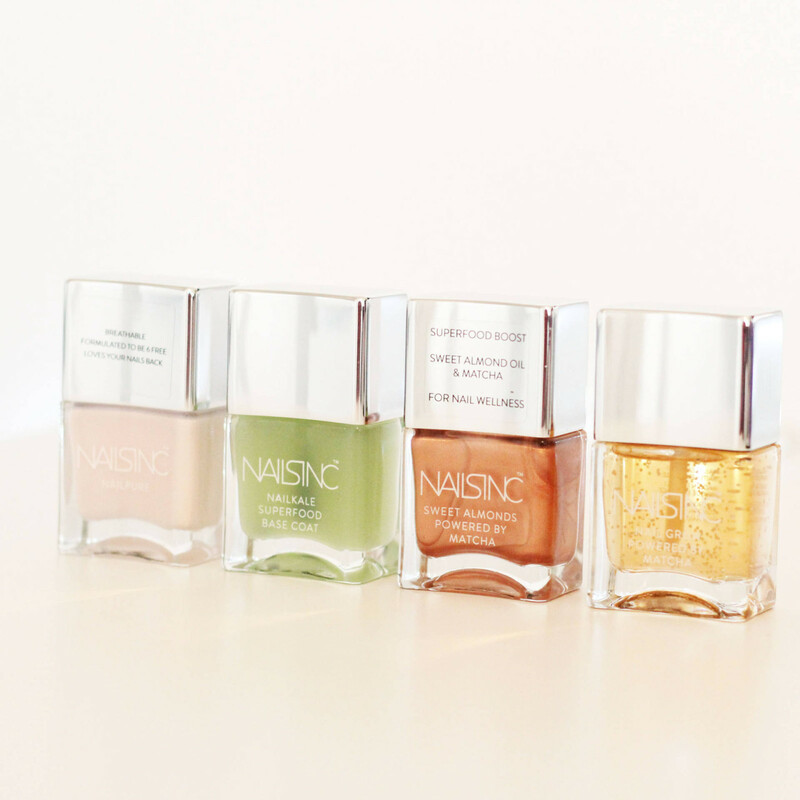 I love Nails Inc range of nail polishes offering ‘special effects’ – they are my favourites for the summer! I have never thought of using superfoods for my nails but I guess when you think about it, it makes sense. After all, these foods are superfoods for a reason. 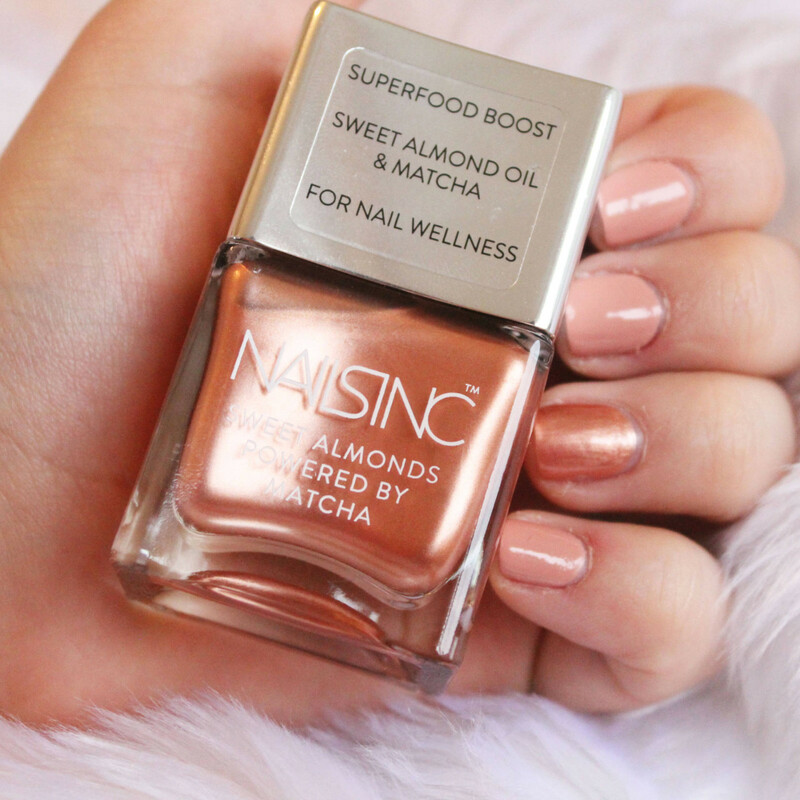 I have used nailsinc before but like you I would have never thought about putting superfood on my nails but it makes complete sense! I will be telling you off surely. Lucky you. I love the natural color. It brings out the beauty of your nails and hands. I’ve really neglected my nails too, I need these products in my life. They sounds amazing and I love the London Court colour, so pretty. I always forget about my nails and end up just painting them every once in a while when I remember to actually do it and they’re not in the best condition. Something like this would be perfect for me because it would mean that even if I was forgetting to actually do my nails, they’d still look nice and healthy. I’ve been a bit paranoid recently about my hands as I’m going to study Make-Up Artistry after the summer and working with your hands up close to someone’s face, you want them to look half decent so I might have to get some of this. I like the idea of the overnight treatment where you can just put it on, go to bed and forget about it <3 That sweet almond colour polish is just beautiful as well! These sound so useful! I wear contact lenses and have done for years so I’m constantly cutting my nails super short so I don’t catch my eye, so they’re pretty damaged now, these sound perfect for helping them get a bit more healthy! I need these in my life! My nails are shocking at the minute, I’m pretty sure they got exposed to something at work and they’re ruined! I can’t seem to get them to stop splitting, the top layer just keeps peeling off and it’s making me feel so unkept and crappy! Will defiantly have to pop into the nail bar and ask for a little nails inc sos! Love the rose gold colour, that’s just perfect!